This simple gold band hides an eternity knot on the inside, 9ct gold. 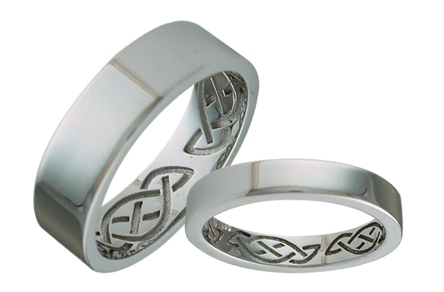 Showing the basic celtic knot with stones. At 3.3mm it is one of the narrowest rings in our collection. 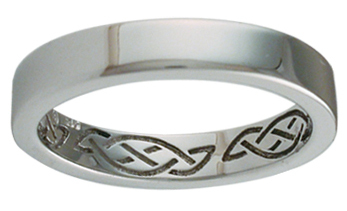 ID325 - Trinity Engagement,new Stunning Engagement ring with trinity knots on the side.